Publication Information: Central Avenue Publishing. 2018. 384 pages. Opening Sentence: "The girl waits." Favorite Quote: "Family became more than just a responsibility to fulfill, and love ... is still the primary commitment that defines him." 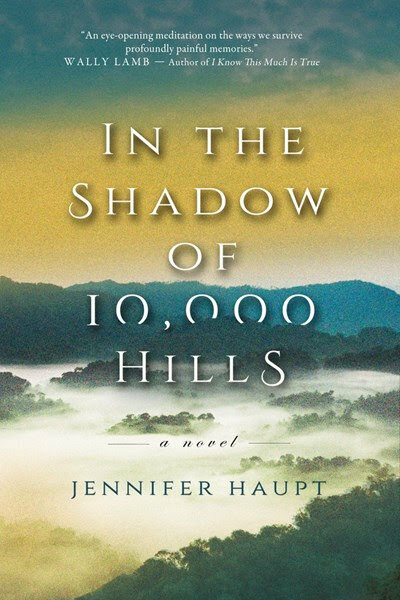 "People say God lives in the ten thousand hills of Rwanda. During the genocide, he became lost in the Rift Valley. He wandered for ninety days, tears so thick he couldn't see straight." In the 1990s in about a one hundred day period, almost one million people were killed in Rwanda. It was a time of civil war, but it was more a time of ethnic war between the Hutu and the Tutsi. The Hutu controlled the government and orchestrated the genocide. Since that time, the political power has shifted and discord continues; millions of both Hutu ant Tutsi still live as refugees. Small Country by Gaël Faye, built on the author's own childhood, presents one perspective on this history. This book presents a completely different one. This story centers on three women. Nadine was a child at time of the war; she survives and bears the scars of what happened. Lilian came, disillusioned with life in the United States; she stayed to help and to make a difference, no matter how small. Rachel comes almost a decade later, searching for her father who disappeared from her life; Africa and Lilian are her only links. The thread that binds these women together is Henry Shepard, the father Rachel comes seeking. Although his perspective is not present much in the book, he is, nevertheless, the one who brings these women together and who changes the trajectory of all their lives. Henry Shepard is a photographer, who sees life from behind the lens of the camera and from the distance it creates. The lives of these women are forever changed when Henry Shepard emerges from behind that lens and becomes involved in living life not just documenting it. "Letting go of the past ... Not so much letting go as finding a way to live with it." "Standing up for what's right does matter ... Justice matters." "Justice might be too much to ask for. Maybe the best most folks can hope for is a little peace of mind." "It is not so easy to judge the ones you love ... My husband and my boys did what was needed to survive ... _____ made a profit from the suffering. Who will accuse him in court? Who will lock him away in prison?" Ultimately, this is a book about survival and about the triumph of hope and love, a memorable story and history that should be remembered.